BAYSIDE, N.Y. - Aug. 3, 2016 - PRLog -- G&H Global LLC, a leading dealer company of high end merchandises online, launches the month of August with a special treat to the public and to its loyal customers. 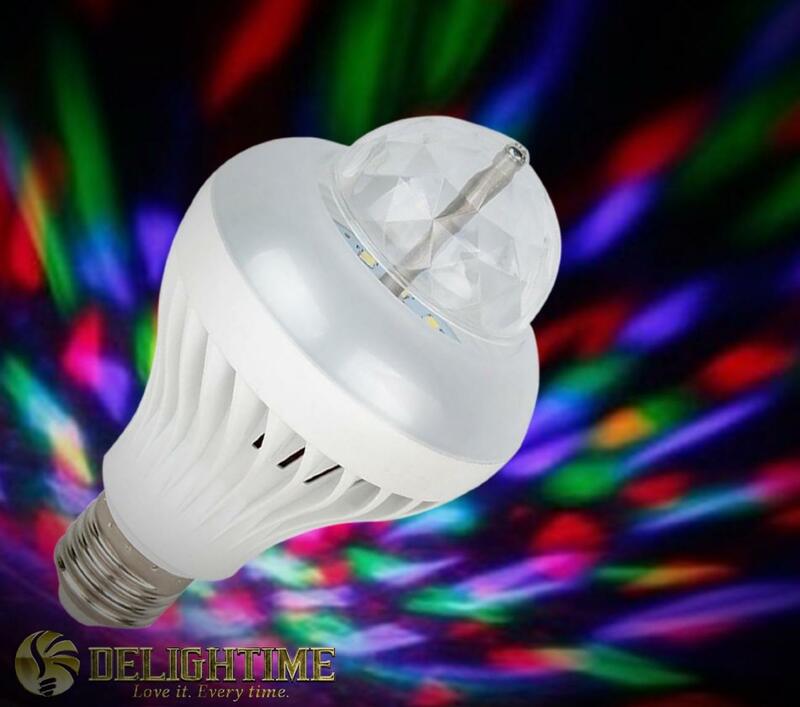 For a limited time, the company's newest product the Delightime 2-in-1 LED Disco Light will be offered on a "Buy 3 Get 1 for Free" promo. With merely months after its launch, the 2-in-1 LED light has already established quite a reputation and currently stands with a 5 out of 5 stars with 17 positive reviews. It has been well-regarded for its easy-to-install feature, child-friendliness, and most of all, its dual modes. Keeping true to its promise, the "Disco Mode" fills an area with a dazzling display of dancing lights which consequently provides an instant party vibe. The "Pure White Mode" on the other hand, gives off a cool and calming white light which is accentuated with reflections of beautiful crystal-like patterns. In line with this, changing between modes is guaranteed to be convenient and easy. And this is possible due to the "Intelligent Switching Setting" installed in each item where users may simply flick the light switch. Common uses of the multipurpose disco lamp (https://www.amazon.com/Delightime-LED-Disco-Party-Light/d...) include all kinds of parties, celebrations and gatherings. It may also be suitable for DJ lighting, KTV, bars, clubs and stage lighting. In addition, several parents have shared their children's fondness towards the product, allowing them to use it as toys, for entertainment and lights for dancing. Through the company's Special Promo, shoppers are granted a $12.82 savings and are assured of more fun and party. The event is set to last for 10 days and will end accordingly on August 13, 2016. This is an exclusive promotion which can only be claimed through Amazon.com, and interested customers may use the code "IKKF3X5C" in making their order.